At least twice a year, I travel from the west coast, (sunny and warm) to the east coast, (freezing cold) to visit my family. After years of dragging my stuff back and forth, it finally dawned on me that there is a better way. 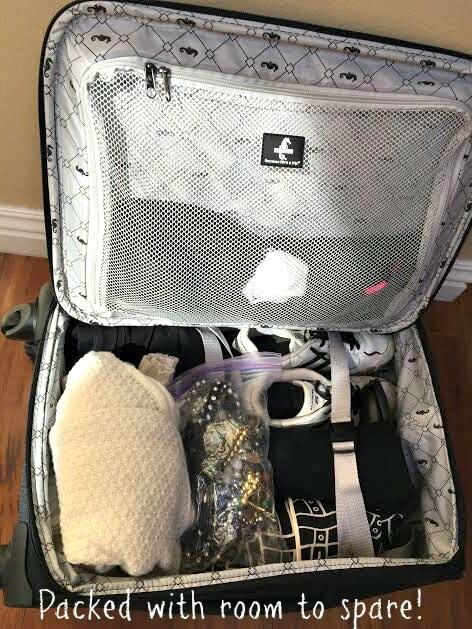 If you also have loved ones out of the area that you visit on a regular basis, whether you drive or fly, you may benefit from some of my common sense packing tips when visiting family. Soon you will be saying “no more overpacking” too. All you need is a little spot to store your items for the next visit. You can use a box, a laundry basket, a corner of a closet, or attic or basement. In short, you are going to leave a second set of many items at your repeat destination so you can travel with just a carry-on. This makes your packing so easy! With most airlines charging for bags and most charging a very hefty fee for bags that are too heavy, this makes perfect sense. 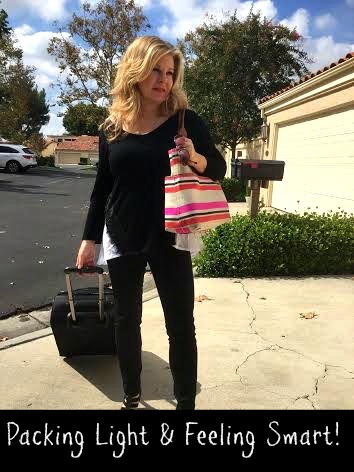 I am not sure why it took me so long figure out these common sense packing tips, but better late than never! Now most of us have more clothing than we need or wear. Wouldn’t you agree? The next time you visit family, why not leave a set of extra clothing at their house? When I am on the east coast, I am often traipsing around in the snow. This is quite a bit different than my warm climate here in Southern California. Instead of packing a heavy coat, boots, gloves, and winter gear, I went to a thrift store and bought the winter items I need and now I leave it all in my mom’s basement. You just have to dress in layers on your way to and from the airport and leave some room in your carry-on luggage so you can remove them before you board your plane. I also have a sweatshirt, sweater, pajamas and slippers waiting for me at my mom’s house and I don’t have to pack those either. When you have access to a washer and dryer, you don’t need to pack more than a few items. I stick with a basic color scheme, usually black and tan and then everything can be mixed and matched. Along with clothing, purchase your personal care items in an economy size when you arrive and then leave them for your next visit. At my mom’s house, I have my hair care products, an extra curling iron, extra cosmetics that were previously in a drawer at home and other necessities such as deodorant, mouthwash, toothpaste and floss. To make room in my luggage for anything I want to bring back with me, I find something that I am not using to take with me. I pack that in my luggage and know that space is what I have to work with on my return trip. On this trip, I have gathered up inexpensive jewelry that I am no longer wearing to give to my nieces to play with. They enjoy making their own jewelry so they can use it in their crafts. If you have the right suitcase, it makes packing so much easier. I love my Atlantic® Luggage Carry -on. It’s so lightweight, weighing in at only 7.2 lbs. and it is so well designed that I have room to spare. It has two side mesh pockets for flexible packing options, a full-size mesh compartment, and adjustable hold-down straps to keep items in place. It has convenient exterior pockets for items you might want to grab such as your reading materials before you get settled in on the airplane. 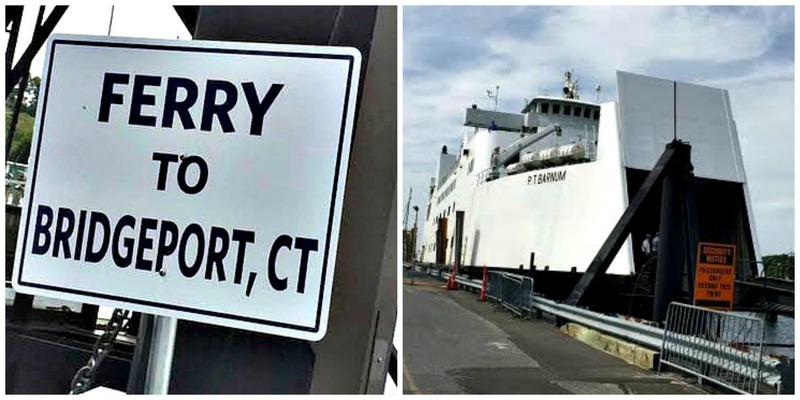 On my trips to see my family, I first visit my sisters in Long Island, NY and then I walk onto the ferry that takes me from Port Jefferson, NY to Bridgeport, CT with all of my belongings. I am embarrassed to tell you how many times I have struggled to do this while dragging heavy suitcases with me. No more! The Atlantic Ultra® Lite 3 21″ Carry-on Expandable Spinner is going on all of my adventures from now on. You can find the Atlantic Ultra® Lite 3 21″ Carry-on Expandable Spinner model right now on Amazon.com. It would make a great gift for the traveler on your list. I think the price is very affordable for the great quality and intelligent design, plus it is on sale too! It comes with a 10-year warranty with 3 color choices (black, turquoise and purple) and also comes in 3 sizes. I have the 21″ Carry-on. You can also choose the 25″ Mid-size and the 29″ Large-size. I love the 360-degree Spinner wheels that easily move in any direction helping you to navigate your way through airport crowds. This post brought to you by Atlantic Luggage. The content and opinions expressed below are that of More with Less Today. I’d love to win the trip!! !